During Bike Week LA, we collected nominations for the Golden Pedal Awards, Metro’s annual competition for great stories about bicycling. We’re featuring these stories in a weekly Why You Ride series – because for many Angelenos, every week is Bike Week! 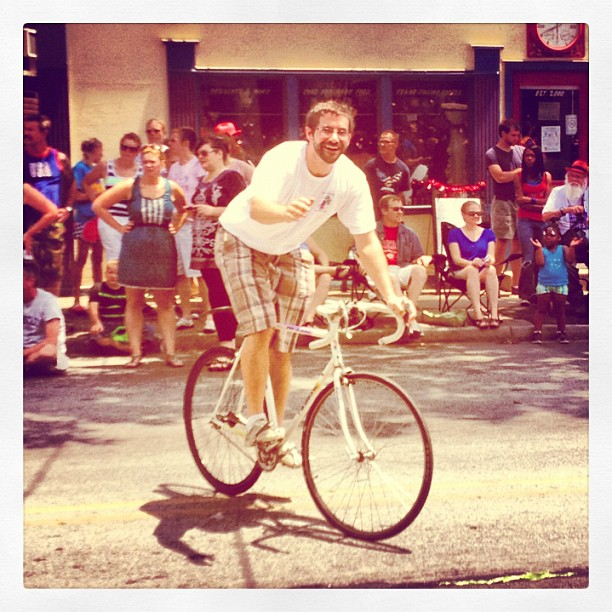 Charles, resident “bike train engineer” for NASA Jet Propulsion Laboratory. Photo courtesy of Charles Dandino. Charles had read an article a few years ago about group bicycle rides for commuters, also known as “bike trains.” After seeing such incredulous reactions to his bicycle commute, he decided to “take a swing at a fun, safer way for people to commute by bike” and start a bike train to JPL for his co-workers. He chose an easy five-mile route up Arroyo Boulevard in Pasadena and created a timetable of seven stops so that other bicyclists could join the ride at whichever intersection was most convenient for them. Riding in a group is especially helpful for beginning bicyclists, he noted, because it makes them more visible to drivers. Charles still bikes to work daily, but every Thursday morning he now waits at the corner of Arroyo Boulevard and Arroyo Drive for his fellow JPL commuters to meet him. As the resident bike train engineer, he sets a moderate pace for the group, tweets their departure times at each stop, and helps take care of any emergencies, such as a flat tire. Charles and Tushar on their morning bike train to work. Photo courtesy of Tushar Thrivikraman. Thanks Charles for creating a cost-efficient and zero-emissions “train” through Pasadena! Hopefully your story will inspire others to do the same. 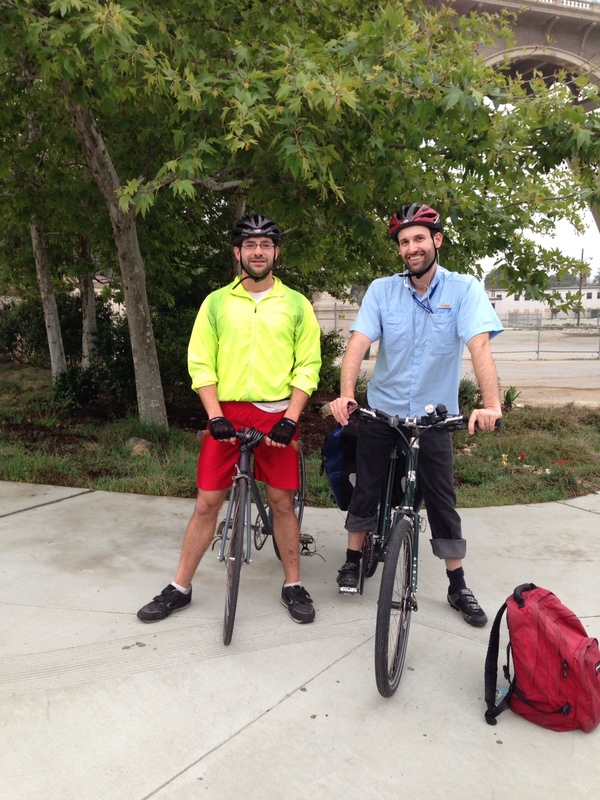 (And for those interested in joining a bike train, see our post on LA Bike Trains). We’ve sent you a Nathan safety vest, RydeSafe reflective decals, and Clif Bars to help keep you safe and fuel your rides.